So, I had been working with a UK waste management/recycling/energy recovery business for 9 years. My fantastic boss retired, the role changed and I became fed up with doing the same type of work. There were redundancies so I took the opportunity, feeling that I had to get out of Somerset for a while and have a complete lifestyle rework. Also I felt there was more to do, to give something back, to help someone/something, anything! Around the same time I saw a documentary by Hugh Fearnley-Whittingstall highlighting the enormous intelligence in animals and stressing that we should never underestimate their abilities. This featured detailed info on an organisation called APOPO, a Belgian NGO, who provide innovative solutions to global problems (look them up?). 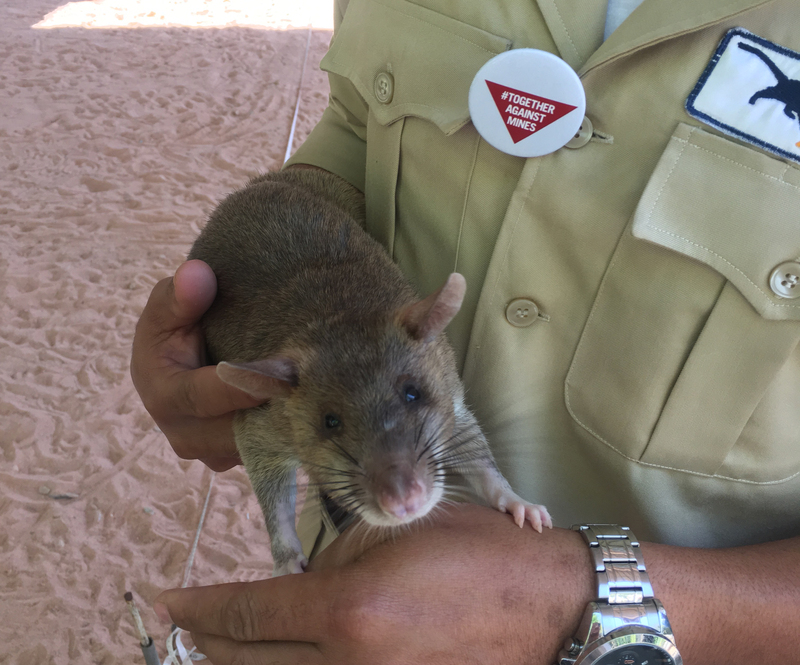 The APOPO scent detection rats which are based in Cambodia and Africa and nicknamed HeroRATs, help to rid the world of landmines and tuberculosis, returning safe land back to communities for development and freeing people from serious illness so that they can get back on their feet to live and work without fear. The rats can clear an area of land much faster than people and all for a banana or some grain! This sparked something in me; wow, I thought, I have to see these rats in action or better still do some sort of voluntary work with them. I contacted APOPO and they agreed to help me with my mission. I sold my house and stayed with a friend called Ann for a few months, bless her. I’m so grateful for her putting up with me; thanks again Ann! Also my truly supportive friends Don Church, Moya Doherty plus Lisa and Dave Harrison. I booked a tour of SE Asia which would finish in Siem Reap, the HeroRATs base. However, just before I left the UK on 30 July 2017 they contacted me to say there had been a change of plan and I could no longer be accommodated. Obviously I was disappointed but I knew I had to do the tour (one month) and decided to sort something out on arrival in Cambodia. 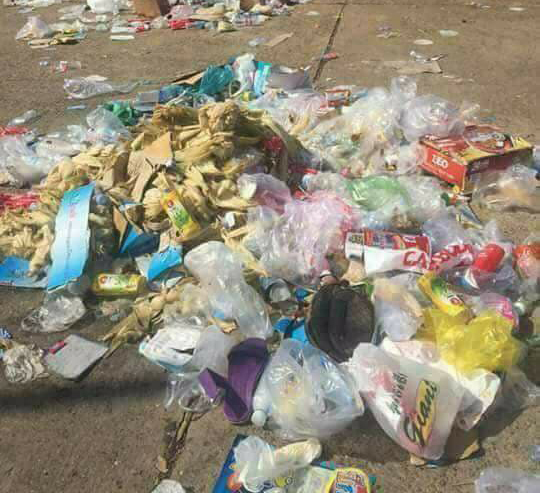 The tour was great and I was fascinated by Thailand, Laos and Vietnam but saddened by the increasing amounts of plastic/waste of all sorts and then, arriving in Cambodia via road from Vietnam, I found it almost unbearable; hundreds of plastic bags of plastic rubbish literally dumped on the road sides for miles and miles. I have always been an environment defender but that really kicked in then! I was in tears by the time we reached Siem Reap and trying to work out what I could do to help the situation, if anything. The next day I decided to find some voluntary work to replace those HeroRATs which, of course, would have to be ethical and working with passion. To my surprise I discovered an organisation called ConCERT Cambodia run by a jolly Yorkshire man named Michael Horton. 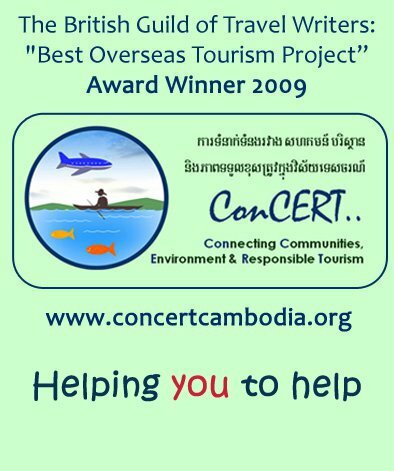 ConCERT is another NGO which aims to turn good intentions into the best possible help for the disadvantaged people in Cambodia. We had a chat and I said I would prefer to work with the environment or animals…..he said he would be in touch. 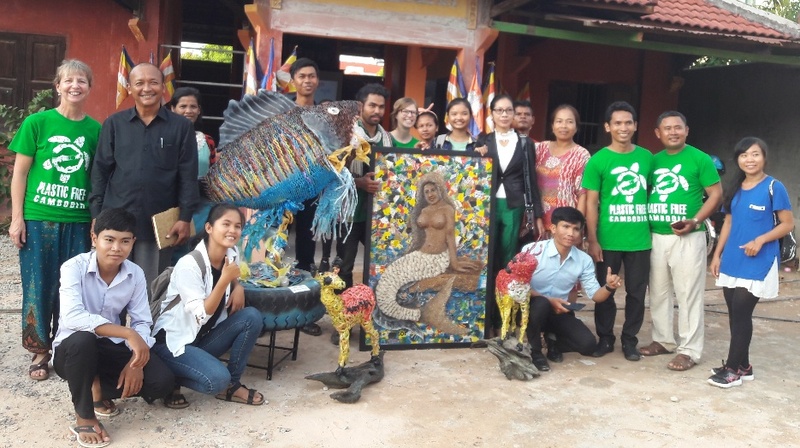 Later that day I received an email to say that Sarah Rhodes, Founder of Plastic Free Cambodia had also called in asking for a volunteer to help her and the team so I could do that or help somewhere else. No prizes for guessing which I chose; talk about synchronicity! I was thrilled and checked out the PFC website which says, “Plastic Free Cambodia is working to reduce the use of single-use plastics in order to create a healthier community and environment.” There seemed to be no recycling in Cambodia and very little waste collection so reduction, I thought, is the best way to go but this does not just apply to Cambodia; the message needs to get through world-wide to make an impact and in the Western World we are often shielded from the realities. I started working with the team mid September, helping Sarah with various bits of admin, tidying up and creating documents and answering queries here and there. My favourite bits were going along to workshops run by Sarah and her incredible team and watching local people trying to absorb the reality of too much plastic in their environment. It’s a real eye opener, not just for them but for everyone concerned. PFC provides sessions for NGOs, businesses, organisations and schools which include health and hygiene sections as well as climate change information. I also enjoyed learning about plastic alternatives, for example cassava plant bags, bamboo straws and toothbrushes and various other products plus the “make your own” personal products from toothpaste to deodorant; it’s all magical stuff to discover and know. I have carried a refillable bottle with me for nearly 7 months while travelling and I’m proud to say that I haven’t bought a single plastic bottle of water. If we all do what we can it will surely make a difference. My great friend Don came to visit Cambodia and we spent a couple of weeks checking out the temples; so many to see and such little time! They truly are incredible feats of architecture and stunningly beautiful at the same time. I had previously spent a few days with the tour party in Phnom Penh where the museum and “killing fields” provide a stark reminder of how blessed many of us are. Two of my fellow volunteers and I also spent 24 hours in Battambang, Cambodia’s second city, where a tuk-tuk driver provided a marvellous tour including fabulous countryside and thousands of bats leaving their cave at dusk; really worth visiting. I left Cambodia at the end of October and I’m truly grateful to have had the opportunity to meet and work with such inspirational, positive people. It was a classic case of knocking on one door and another one opening. I learned loads while I was there and if I wasn’t a full-on eco warrior before Cambodia I’m definitely one now. Don and I made some special friends and I’m sure we’ll stay in touch for years to come. I’m still travelling, currently in New Zealand, and I pass on information wherever I go, also refusing one use plastic items but here, thankfully, there is no plastic pollution (or at least none that is visible) and it is relatively unheard of. To date it’s still clean and incredibly beautiful but if we don’t all reduce our consumption plastic will surely arrive on these shores one day and I’m certain nobody wants to see that, least of all the New Zealand people. Thanks for reading this and I’m sending best wishes to you all. Keep reducing and say no!